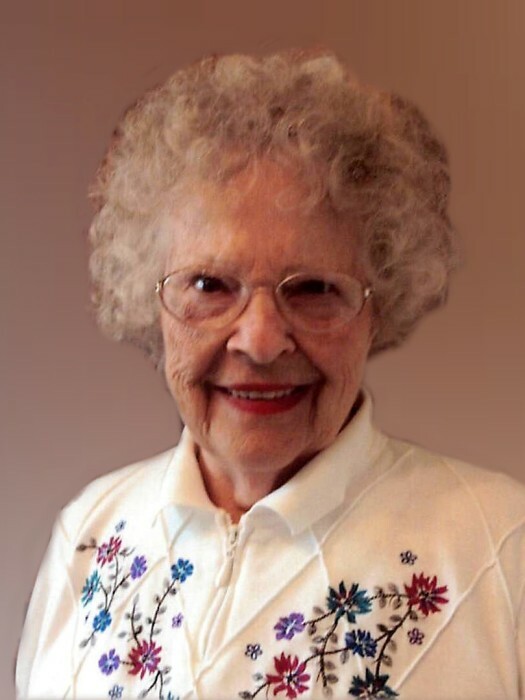 Cuyahoga Falls - Vivian M. Moffitt, age 94, our loving, caring and generous mother passed away peacefully on March 16, 2019. She was born on September 8, 1924 in Akron, Ohio and was a long time resident of Cuyahoga Falls, Ohio and recently of Danbury Senior Living, Tallmadge, Ohio. After graduation from Hudson High School, she graduated in the top of her class at St. Thomas School of Nursing. As a Registered Nurse she dedicated her nursing skills for the Creek Indian Nation in Oklahoma before joining Cuyahoga Falls General Hospital, formerly Green Cross. Vivian also served as a volunteer with the Red Cross Bloodmobile for many years and was recently recognized for her volunteer efforts serving in the Cadet Nurse Corp during World War II. Vivian was a world traveler but what she liked best were her over 50 years of summer visits to the family island on Lake Esnagi in Northern Ontario. She also loved going to card parties with her friends and her contesting. She was a long time member of St. Joseph's Parish. In addition to her parents and siblings, she was preceded in death by her first husband of 38 years, Frank Knapp and her second husband of 31 years, James A. Moffitt. She leaves her four children, son Frank Knapp Jr. and her daughters Michele (Dirck) Ten Broeck, Diana (Paul) Wulff, Donna (Steve) Avramovich; step-children Robert (Susie) Moffitt and Mary Rita (Tim) Chancey. She also leaves 4 grandchildren, 4 great-grandchildren, 7 step-grandchildren and 8 step-great grandchildren as well as a niece and nephew. Mass of Christian Burial will be held at 11:00 am, Friday, March 22, 2019 at St. Joseph's Catholic Church, 1761 2nd Street, Cuyahoga Falls, Ohio 44221. Memorials may be made to St. Joseph's Catholic Church or the charity of your choice. The family wishes to thank the Palliative Care Unit of Akron City Hospital for their kindness and care for our mother in her last days.